One day God revealed to me that in order for me to be healed, I first had to get rid of the unforgiveness before I could get rid of the pain. I had to forgive those who harmed me. You see, unforgiveness separated me from Jesus. My heart needed healing and only God could heal me through His Son Jesus Christ. Through developing a humbling spirit through prayer, reading the Word of God, and obedience, I finally could forgive my offenders. Today I live as a victor and not a victim! The burden I carried for all those years has been lifted through Jesus Christ. God has blessed me with a loving church family at First Baptist of Belleview, Florida, and He surrounds me with a firm Biblical foundation through the Women In Truth Ministry.Through the Lordship of Christ Jesus, I have been clean since 2004. I am a Co-Director of the Women In Truth Ministry, and I ENJOY helping hurting women. God has helped me to make a 380 degree turn in my life. Because of His Son Jesus Christ, I can truly say life now has new meaning. Praise God! I give HIM the GLORY! Editor Note: Vinelle remains an active and valuable worker for the Lord in WIT. 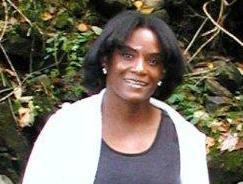 She has served as a counselor in the WIT Home and presently serves on the Women's Jail Ministry Team. She has her own home, car, enjoys her grandchildren and has been successfully employed since joining WIT. In her spare time, Vinelle is taking college classes and is a faithful member of the church choir. In August, Vinelle will become a missionary as she goes to Zambia, Africa serving on the WIT Mission Team.